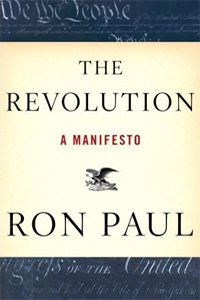 Ron Paul wrote this book in the midst of his 2007-2008 educational campaign for the Republican nomination. It is a response to the demand from so many to understand the political and economic philosophy that led to his campaign, which was a defining moment in modern libertarian history. The result is outstanding. He patiently explains why the average voter must care about liberty and what can be done about it in terms of public policy. He explains the workings of the free market, the incompetence of government, the real purpose of the Constitution, the dangers of an imperial foreign policy and much more. You learn things in this book that don't appear anywhere else. He explains that government has increased in size regardless of the party that is in power and why this happens. He takes on all three branches of government and the entire process that is rigged against the the American people. Mostly, however, he shows that there is no reason for despair. A people determined to keep their freedom will do so, provided they refuse to go along with the status quo that the regime offers. Ron says that if we are to enjoy peace, freedom, and prosperity once again, we absolutely must return to the principles upon which America was founded. This book was a bestseller even before it came off the presses. There can be no question that this is the best political primer written in our age, and it has a strong emphasis on the Austrian School of economics, as well as the contribution of the Mises Institute toward public education. Here is a book that you will appreciate, and you will want to hand out to all your friends and colleagues. You will especially enjoy his reading list at the end. Ron Paul is a hero of our times, and it seems that this book, of all his books, will go down in history as his greatest work. This is the book that made me a Libertarian and introduced me to Austrian Economics. Congressman Ron Paul is the only voice of reason left in politics, and this work proves it. Never before has a book made me question what and why I stood for something. I thoroughly enjoyed reading this work. Although I had never thought of money as being a major issue, I now can see that is probably the most vital part of prosperity. The writing on the Federal Reserve was shocking, yet true. I strongly recommend this book for anybody with an interest in Ron Paul or Libertarianism. I believe that the United States of America, particularly the Pentagon, and especially the new White House Administration needs to look at this book. I believe that applying these techniques too quick could cause rapid deflation, but applying them moderately and gradually, could save our money system and economy. Ron Paul's Foreign policy is second to none and needs to be soundly looked at by those in power. However, I know Washington and they won't. Anyhow, I received Ron Paul's book as a Christmas Gift. I was skeptical. But I read it. As far as I am concerned, Ron Paul is the Barry Goldwater Sr.
One day, the world will listen. Simply stated, this is a concise, easy-to-read primer on Paul's view of libertarianism as well as the state of national and international affairs. It is enlightening, discouraging and motivating all at once. I believe that this should be required reading for anyone either new to the movement or for anyone, from any side, that wishes to take part in the discussion. As a Republican presidential candidate, Ron Paul is understandably a man concerned primarily with the United States, rather than with England or the rest of Europe. However, the ideas expressed in his book, The Revolution: A Manifesto, can be globally applied given a preliminary understanding of the original American revolution and the later construction of the US constitution. The world is suffering from a surfeit of statism, posits the Good Doctor; we have exploding financial bubbles, endless wars, dissolving currencies, and diminishing civil liberties, racing like the four horsemen of the apocalypse across the entire world. With astonishing clarity, Ron Paul exposes how these inter-linked beasts are related and how they can be tamed via the use of a simple ingredient the United States once used to believe in; freedom. The Republicrats of America must hate him for exposing their carefully spun fallacies behind central banking, foreign policy, fiat currency, and the welfare/warfare state. So, if you want to understand what is going wrong in the world and how it can get fixed then you must read this book, especially if you want to know what America should do to become the beacon of hope it once used to be, rather than the imperial aggressor it has unfortunately become. Personally speaking as a Rothbardian anarcho-capitalist, and a follower of Professor Hans-Hermann Hoppe, I feel that the Good Doctor places a little too much reliance on the ability of any constitution to restrain any government. However, he has written a beautifully crafted piece of work which it is possible to read in one sitting, despite its comprehensive coverage of the entire remit of western world government. The text will also help you understand the basic tenets of Austrian economics, a political philosophy based upon peace, prosperity, and freedom, which may help you remove any scales of state indoctrination from your eyes, if you feel inflicted with the fuzzy feeling that somebody has been hiding the truth from you, for most of your life, about how governments really work. In brief, I believe this book could help save the world as we know it. I hope it does and I hope this review has done it the truly magnificent justice it deserves. Go Ron Paul. The only seriously principled statesman to serve in the US House of Representatives in the last quarter of the 20th century. Ron Paul has been the leading champion of sound money in the Congress. Here he explains why sound money means a new gold standard.